Cob is a natural building material made from sand, clay, water, some kind of fibrous or organic material (straw), and earth. It’s use is centuries old but there are many modern applications today. 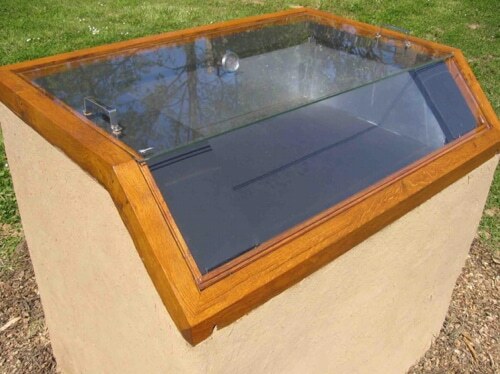 You can create an outdoor, solar oven for cooking food using just the sun’s energy.